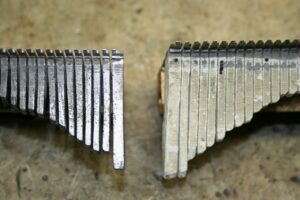 This is a set of combs from one of our repair jobs and it show how the leads (on the bass notes) get oxidize and how they should look. 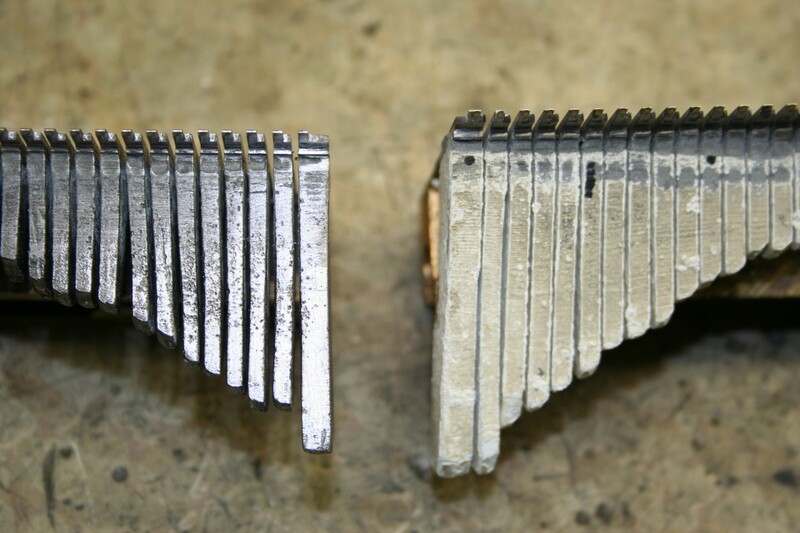 When the leads get this bad the notes are no longer correct and the tooth will not resonate correctly ether. 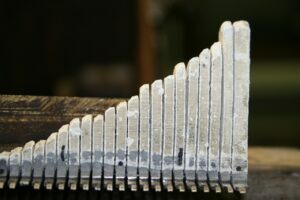 We complete clean the old lead by sanding them (by hand) but first we need to record the tuning so we know where the octave breaks are. We know the tuning is not correct but it does help to know what it was prior to doing all the work to them. 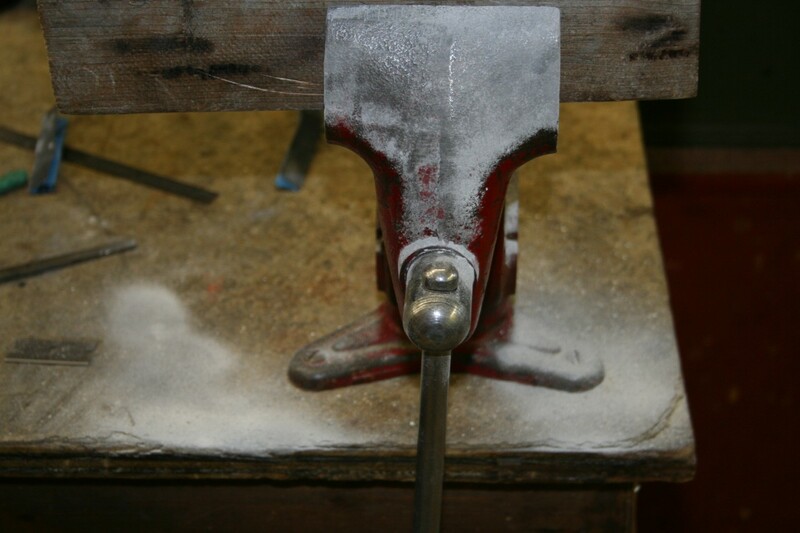 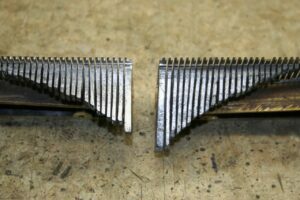 As you can see by the lead dust on the vise these combs were very bad and it is going to take a lot of work to bring them back to life. 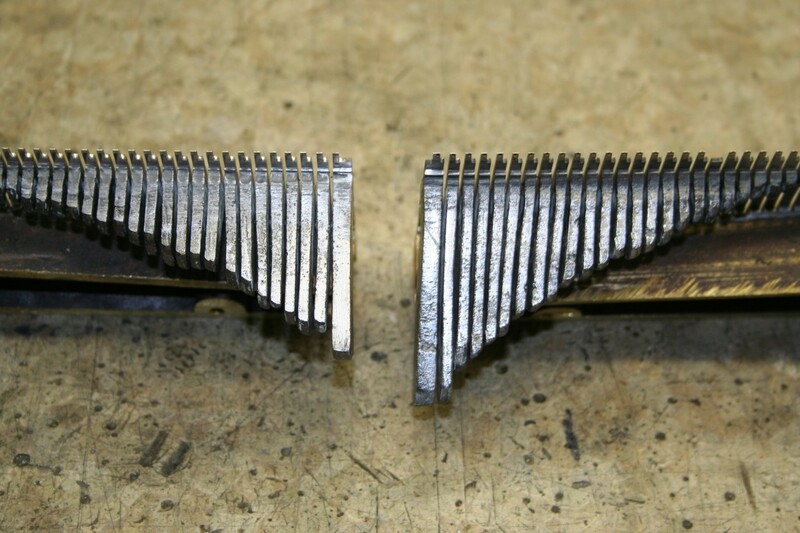 You can click on the picture to enlarge it, this will give you much better idea of how bad these combs were.